Control your appetite by keeping your stomach on a leash with our gastric lap band procedures at the best clinics and hospitals in Iran. Laparoscopic Adjustable Gastric Band (LAGB) is a type of Bariatric surgery (weight loss surgery) for people struggling with obesity. With the increase of obesity due to the change in people’s lifestyles, this surgery has become popular in both developed and developing countries. Lap-Band, which is another name for LAGB, consists of a silicone ring placed at the upper part of the stomach aimed at slowing food consumption thus encouraging weight loss. Laparoscopic adjustable gastric band is known to be the least dangerous method for fat loss among other surgeries. It can help patients receive long-term effect of weight loss. HOW IS A LAPAROSCOPIC ADJUSTABLE GASTRIC BAND PERFORMED? General anesthesia is applied before you fall unconscious without any feeling of pain during the surgery. Depending on the surgeon, 5 or 6 small and slight incisions are made in the upper part of your abdomen before a camera and other laparoscopic instruments are introduced to your stomach. The adjustable gastric band, which is a soft silicone ring, is placed at the upper part of the stomach, making a small pouch. The band is tightened and locked to the top part of the stomach. The next step would be locating a port under the skin of your belly. To make a connection between the port and the lap band, a tube is placed. Depending on both the surgeon and the intensity of surgery, LAGB needs between 30 to 60 minutes. The next sessions after the surgery, your doctor injects a liquid into the tube in order to narrow your pouch and you will be able to eat less. With industrialization and lifestyle changes, lack of sufficient physical activities shows itself in obesity and other fat-related diseases. The number of fat adults is increasing year by year. In addition to that, depression and lack of self-confidence due to being fat are starting to show up among adolescents and youths. As a result, people unsatisfied with their weight are looking for possible ways to reach their satisfactory weight. Apart from social issues, obesity has other negative effects and could lead to chronic diseases like bone and joint diseases, heart diseases, and type two diabetes. When a patient suffers from type two diabetes or heart diseases due to being fat, this surgery is recommended. Lap-band helps obese people prevent themselves from overeating. After this surgery, people are able to manage their food and they feel full more quickly. After gastric band surgery, obese people can reach their desired weight and protect their bodies from different chronic diseases. ARE YOU A GOOD CANDIDATE FOR LAPAROSCOPIC ADJUSTABLE GASTRIC BAND? If you have tried different methods to lose weight but you did not succeed, the adjustable gastric band is a good choice. If your body mass index (BMI) is more than 35 and less than 50, you are certainly a good candidate for this surgery (calculate your BMI). The weight loss after surgery is guaranteed, but the rest of the story is totally up to the patient. If you have made up your mind to reach your desired weight and health condition, you are a good candidate for this surgery. For that achievement, you have to make sure that you will follow your surgeon’s recommendation, follow your diet, and exercise. You need to be fully prepared to accept the change in your eating habits and other negative lifestyle habits. WHAT TO DO BEFORE A LAPAROSCOPIC ADJUSTABLE GASTRIC BAND? Neither drink nor eat anything midnight before your surgery. Two hours before the surgery, it is permitted to drink juice or water. 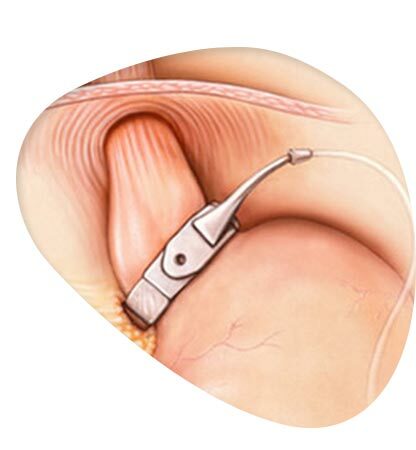 Make sure that the laparoscopic adjustable gastric band is the best option for you. Be in contact with your surgeon and healthcare team. If you misuse alcohol or medicine, quit as soon as possible. Stop smoking a few months before surgery. Consult with a nutrition specialist and follow the diet given to you. Take a blood test based on your doctor’s instruction. Have an upper endoscopy of your stomach. Do take imaging of your stomach serious. Have both psychological and physical tests. To have better and safer surgery, make your liver smaller by losing some weight. Do not take any sort of medication especially blood-thinning medicines, including aspirin, several days before your surgery, unless your anesthesiologist or surgeon asks you to. Use low-calorie meals at least 14 days before your surgery. WHAT ARE LAP BAND RECOVERY AND POST-OPERATIVE CARE? You will only need one night stay in the hospital. You must have an x-ray in the hospital to make sure of the location of the band. The first two weeks after your surgery, you can only drink clear liquids like black tea, water and juices. After two weeks you can start eating pureed food. Soft food and regular food are permitted during the next weeks. Do not forget that after your body is healed, you have to change your eating habits. Never mix liquid and solid foods in a meal. Chew carefully. Avoid swallowing big amount of food. Take small amount of meals in order to avoid vomiting. Take daily multivitamins, a calcium-vitamin D, vitamin B12 or iron, or other medicines your doctor asks you to. Try to take blood test every few months at least for a year after your surgery. Do not neglect visiting your doctor and making sure of the location of your lap band. WHAT ARE THE COMMON SIDE EFFECTS AND RISKS OF GASTRIC BAND? These side-effects are rare, though, and the possibility of their occurrence can be greatly decreased if the patient follows their doctor’s instructions. WHAT ARE SOME ADVANTAGES OF ADJUSTABLE GASTRIC BAND? It is reversible. In case you don’t want to have it any longer, it can be removed later without having made any alteration to the stomach. No alteration occurs to the anatomy of the stomach. HOW MUCH DOES A LAPAROSCOPIC ADJUSTABLE GASTRIC BAND COST? As this surgery is mostly related to one’s health rather than beauty, it requires special care to have the best for one’s body. 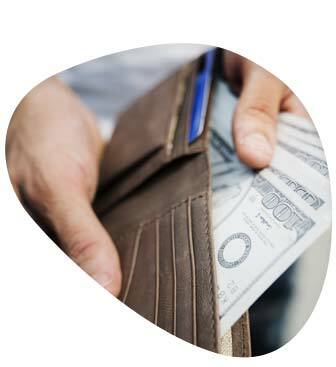 In the United States, for example, prices range from $10,000 to $29,000. Although the quality of materials used are great and the doctors are well-skilled, the price of this surgery in Iran is much more affordable than other countries. While an average gastric band surgery in Iran costs around $3,000, a similar procedure costs $15,000 in the US, $12,000 in the UK and $8,000 in India. AriaMedTour is currently offering quality bariatric surgeries including gastric band (lap band) surgeries by highly qualified surgeons in some of the best hospitals and clinics of Tehran and other major cities across Iran. Do not hesitate to put in your request below so that our coordinators will contact you as soon as possible to assist you in this regard. WHY IS IRAN A GOOD CHOICE FOR LAP BAND? As there are great surgeons in Iran for different operations, lap-band (gastric band) also has its professionals. People from all around Iran as well as the world can benefit from highly experienced specialists and medical facilities at a low cost and with high quality. 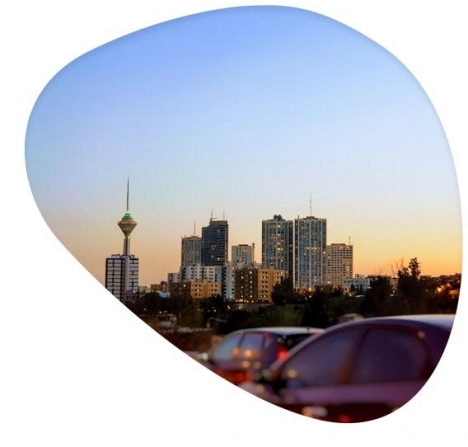 There are well-equipped clinics offering gastric band surgery (lap band) in different cities all around Iran including Tehran, Isfahan, Shiraz, Mashhad, Tabriz and Kish Island.